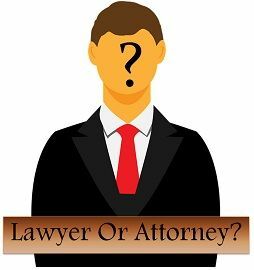 When it comes to legal proceedings, people highly juxtapose, the epithets ‘lawyer’ and ‘attorney’, as these two share a number of common characteristics. A lawyer is a person who studies law and gives legal advice to the clients. These are the members at the bar. On the other hand, an attorney is a person who is so appointed to act on behalf of the client, in legal matters. To become an attorney, there is no compulsion to clear the bar exam, but if one wants to become lawyer, it becomes mandatory. Until and unless, a person does not belong to the legal profession, it is a bit difficult for him/her to understand the difference between lawyer and attorney. But, here in this article, we’ve simplified it for the readers. Meaning Lawyer refers to a person who is a law professional and can provide legal advice to clients. Attorney alludes to a person who is authorized by law to represent client in the court of law. Prerequisites Any person who has attended law school, is regarded as lawyer. The one who has attended law school and practices law, is an attorney. Doctor of Jurisprudence Degree Must possess the Doctor of Jurisprudence Degree. May or may not possess the Doctor of Jurisprudence Degree. Bar exam Clearance of bar exam is discretionary. Clearance of bar exam is compulsory. Addition in name J.D. is used as an addition in name. Esq. is used as an addition in the name. Lawyer, as the name recommends, is someone who has studied law and is legally certified as trained in it. He/She is the one who gives advice to the people on various legal matters and undertakes lawsuits in the court on behalf of their clients but may or may not practice it. In order to gain the license for practising law, one has to attend the law school, acquire a relevant degree and should clear the bar exam. A lawyer is proficient in law and knows how to practically apply legal theories and knowledge, in order to solve specific cases or to provide litigation services to the clients. There are a number of functions performed by them, which includes writing contract, drafting will, drawing legal documents, provision of legal services, carrying out the intent of deceased, protecting intellectual property and so forth. An attorney, or otherwise known as attorney-at-law, is an authorized member of the legal profession who has got the license to practise law in the court. Besides performing all the tasks and duties of a qualified lawyer, he/she also represents a client to transact legal matters at the court, i.e. a lawyer is someone who is legally qualified and so appointed to act or speak for the other person to prosecute or defend him/her, in the court of law. To become an attorney at law, a person is required to attend the accredited law school, pass the bar exam, get the stipulated degree and license, so as to practice law in the court of justice. The term lawyer indicates a law professional, who is qualified to give legal advice to another person. The attorney is someone who is permitted by statute to represent an individual or act on his behalf on legal matters. A lawyer can be an individual, who is admitted to and has attended law school. On the contrary, an attorney is someone who has attended law school and is a practitioner of law in a particular jurisdiction. A lawyer must possess the doctor of jurisprudence degree. As against this, the attorney may or may not possess the doctor of jurisprudence degree. One has to pass the bar exam, to become an attorney. Conversely, there is no such compulsion to pass the bar exam to become a lawyer. A lawyer can add J.D., at the end of his/her name. Unlike, an attorney, who uses the word Esq. Which expands to Esquire, as an addition to the name, for the purpose of giving an honorary title. By and large, an attorney can be called a lawyer, but a lawyer may not certainly be an attorney. The role of a lawyer or attorney may differ and largely depend on the jurisdiction, we are referring to. Even, there are some countries, where no such line of demarcation between lawyer and attorney. Therefore, for such countries, these two legal epithets are one and the same thing.